Custom Urethane Parts ? You’ve come to the right source! Urethane Sleeves: Urethane sleeves are typically used to protect a surface from wear abrasion and damage. Most cast urethane sleeves consist of an OD and ID configuration. We are able to manufacture polyurethane sleeves up to 4 feet, tight tolerance custom urethane sleeves are no problem for us! 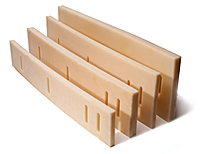 Plan Tech can mold to size or machine any urethane sleeves needed for your application. Urethane Check Valve Balls: Urethane check valve balls are used in applications including; screen cleaning, check valves, food machinery and FDA acceptable polyurethane. Plan Tech’s custom urethane check valve balls capabilities are from .75”-10”. The urethane check valve balls are molded from solid urethane sometimes with metal cores to save on material cost. Urethane check valve balls often times are supplied in an 80A-75D durometer and a variety of additives can be added to enhance wear properties, add lubricity, UV stabilized, flame retardant, or to reduce static build up. Urethane Pad Actuators: Urethane pad actuators are found in manufacturing plants with automated machines or assembly lines. Urethane pad actuators will help orientate the customer’s product in a position for the next step in assembly or packaging. Urethane pad actuators will match the profile of the product that is being moved into position. Polyurethane pad actuators are normally made from a 60A to 80A durometer. Urethane Dewatering Screens: Urethane Dewatering Screens are found in bulk aggregate handling systems in extreme abrasion conditions. Bulk handling systems are typically constructed with a corkscrew roller that will process material forward or backward depending on the rotation. Some equipment will have multiple corkscrews to move a larger amount of material. Urethane dewatering screens are found at the lowest point of the system or upon the exiting the machine. Urethane Conical Plugs: Urethane conical plugs are available in any hardness or color with additives like PolyMag that is used in FDA X-ray applications to detect if there is a failure. 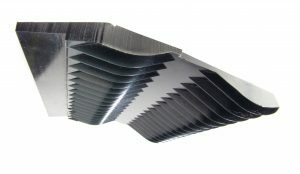 Plan Tech can reverse engineer any existing conical plug to match OEM specs oftentimes with little or no start-up cost. 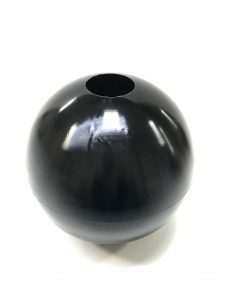 Most commonly Plan Tech will machine one master pattern where we will make hundreds of urethane molds resulting in a low-cost conical plug with a rapid turnaround on repeat orders. Urethane Flappers: Urethane flappers are ideal in pressure systems where diverting material from multiple destinations or just a single source. The urethane flappers will seal the unused leg of the valve during operation in high demand applications. Urethane is a great choice for urethane flappers due to its high performance and ability to be molded in any shape or cut to size. Urethane Snow Combs: Urethane snow combs are one of the many products we manufacture for snow grooming equipment. We have been manufacturing urethane snow combs for over 30 years and supplying them to ski resort operators worldwide. Custom urethane snow combs are an easy choice when searching custom patterns or replacing discontinued parts. Urethane Salt Spinners: Urethane salt spinners feature high-performance polyurethane. Designs for urethane salt spinners may include polyurethane that has removable fins. Bolt on fins can help lower the cost of replacement parts for the customer, often times costing less than OEM replacement rubbers while exceeding the physical properties of the original parts. Urethane salt spinners have been approved by airports, state highway departments and municipal road crews because of its durability, long service life, and reduced wear when compared to conventional plastics or rubber disks. Conical Polyurethane Plugs: Conical polyurethane plugs are open cast in high volume with rapid tooling startup. Plan Tech has been specializing in custom urethane applications for 30+ years with conical polyurethane plugs being one of our biggest demands. Currently, we cast several different sizes including some for bolt-on applications with a molded bolt or mounting plate. Urethane Funnels: Urethane funnels are found in a variety of industries ranging from food processing to abrasives and from aggregate to toll booth coin collectors. These durable urethane funnels have been proven to outperform and outlast metallics and other plastics. Depending on quantity and configuration, we have a variety of molding methods to achieve the urethane funnels that your custom urethane parts application requires. For over 3 decades we have focused on using speed and precision to rapidly deliver the highest quality industrial custom urethane parts and FDA-approved urethane products to our customers. Our custom urethane parts manufacturing facility maintains world-class capabilities and decades of experience with best in class polyurethane additives. A particular strength is the breadth of our in-house capabilities which, when combined with our extensive experience, enables us to rapidly deliver custom urethane parts while maintaining the quality control and cost effectiveness our customers need. Our customers include many Fortune 500 companies, most of whom have been customers purchasing custom urethane parts for over 20 years. Their drive to become industry leaders has helped us do the same. Whether you are a start-up company or global leader, we can add value to your custom urethane parts with our strong engineering support, polyurethane material selection expertise and constant focus on meeting all delivery requirements. Our rapid custom urethane parts prototyping capabilities have also received particularly positive feedback. 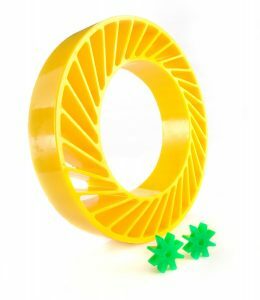 We frequently go from “Print to Part” in 10-15 business days for custom urethane parts. This capability allows our customers to rapidly develop new custom urethane parts and meet the ever-increasing requirements for speed in the marketplace. Please Contact us for further details regarding custom urethane parts!